Allows placing any content in pop-up window and also choosing the condition of its displayingand completely managing incoming users’ requests via administration panel. CS-Cart ‘Smart pop-up manager’ add-in is powerful and smart solution for marketing. Using this add-on you can completely manage pop-up windows of the store. Do you need a greeting pop-up window? Or do you want to hold a visitor who leaves the store? Maybe you want to create the ‘Ask a question’ form on a product detailed page. Or show similar products if a customer doubts in purchase? Then this solution fits you. It will allow placing any content in pop-up window and also choosing the condition of its displaying. Moreover, the add-on is also a tracker of users’ forms - you can always find user’s request, look through details and even answer on it. So, this add-on allows completely manage incoming users’ requests via administration panel instead of searching a mail-request among tons of other emails in a mailbox to answer it. Go to Administration panel –> Add-ons -> Manage add-ons -> find the ‘Pop-up manager’ add-on in the list. Click the gear opposite to the add-on’s name -> choose Settings. Pop-up page for product – choose the necessary form/page that will be added to pop-up window on a product detailed page. User defined css class for product button – here you can specify css class for the button that will appear on a product detailed page. Delay for auto-open, seconds – specify delay in seconds for pop-up windows with the 'auto-open' wrappers displaying, available only for ‘Pop-up auto open’ wrapper. Next time 'open by mouse leave' dialog will be shown, hours - specify next time (in hours) you want the pop-up window with the 'open by mouse leave' wrapper be shown to the user again. Go to Administration panel -> Marketing -> New pop-up forms (for new form’s processing) or All pop-up forms (contains all forms). View details – here you can view a form with all fields, leave inner comment and change status of the request. Answer – answer a request. This option appears if only email has been specified by the user. Delete - delete a request. Go to Administration panel -> Administration - > Pop-up pages statuses. Here you can move/create/edit/delete statuses for request’s page. Go to Administration panel -> Marketing -> Banners. Choose the necessary banner and click edit. On the bottom of the page you will find the ‘Popup page’ field and chose the necessary page or form from the list. Go to Administration panel -> Design -> Layouts. 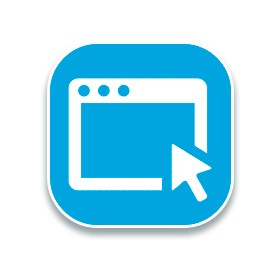 Pop-up auto open – pop-up window will be opened after the page is load. Pop-up open by click – the link with a name of block will appear on storefront. By clicking on this link the pop-up window will be opened. You can also stylize this link via ‘User-defined CSS-class’ block setting. 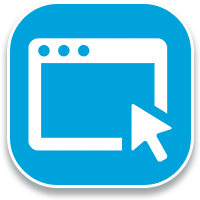 Pop-up open by mouse leave – pop-up window will be displayed as soon as mouse cursor leaves viewport of the browser. This pop-up window will be displayed only once. Choose the necessary grid and add ‘Pages’ block. On General tab choose ‘Роp-up content’ template. On Content tab choose the necessary page.